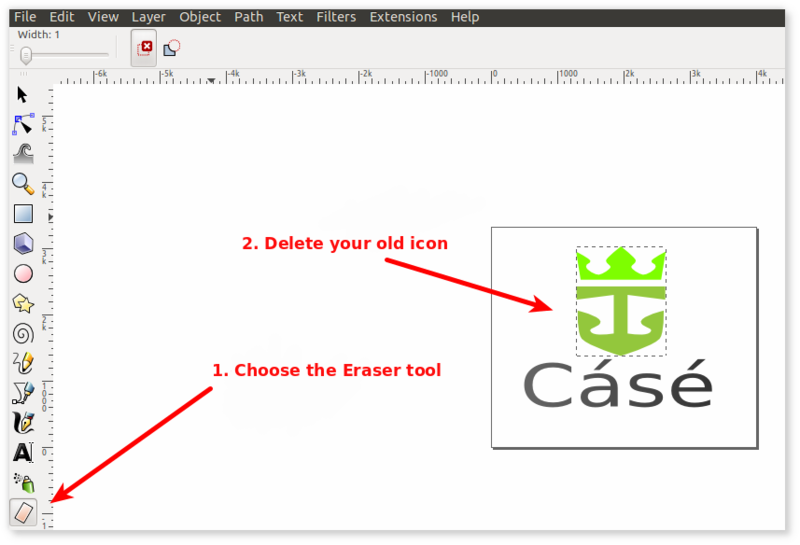 You will learn how to change the icon in the finished logo created by Logaster.com with this step by step guide. To start you need a logo. You can see how to create a logo in this video. 1. 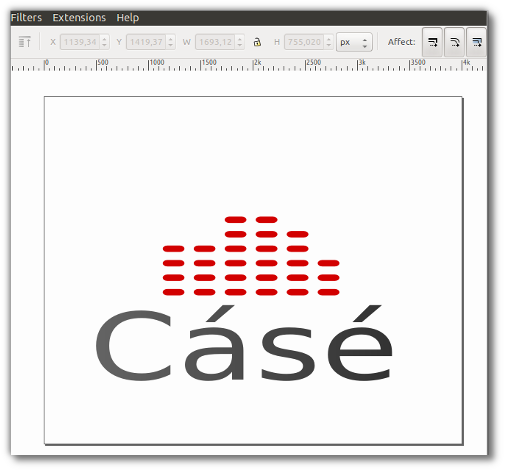 Download the logo in SVG format after logo creation. 2. Now you need a new icon. Like this. If you downloaded logo in SVG or PDF format, your icon should be in the vector format too. By the way, you can work with vector graphics in the popular free program Inkscape. We will use it in this article to show how to change the logo icon. 3. 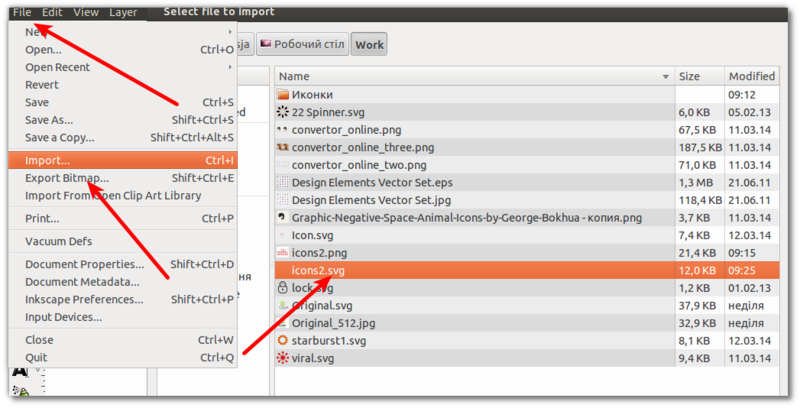 Open your logo in Inkscape — «File» — «Open». 4. Delete your old icon in a logo using «eraser». Tool «eraser» is in the side window of tools. You can also activated it with the key combination Shift + E. «Eraser» can work in two modes: remove and cut objects. 5. Open a new icon — «File» — «Import». 6. Move it to the new location on the logo after opening. 7. 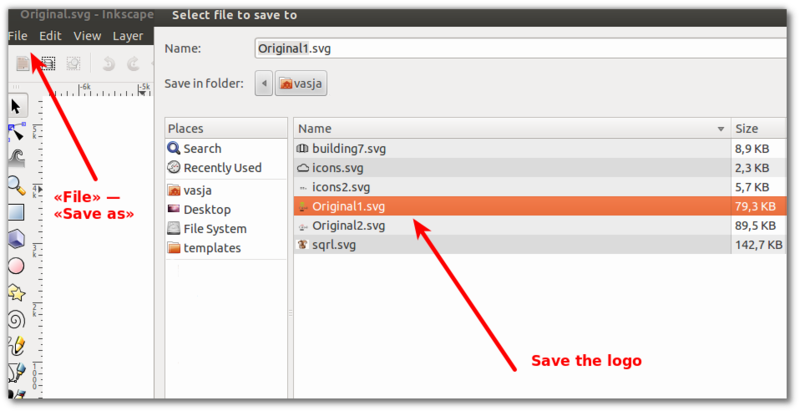 Save the logo if you don’t need to do other changes — «File» — «Save as». Thats all. Your logo with new icon is ready! « What to do if the font in SVG format is wrong?